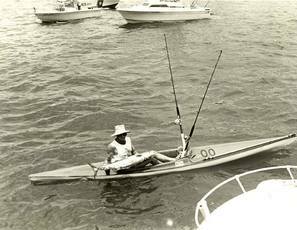 Modern kayak fishing reemerged in the 1970's and our sit-on-top kayaks appeared in the 1980's. 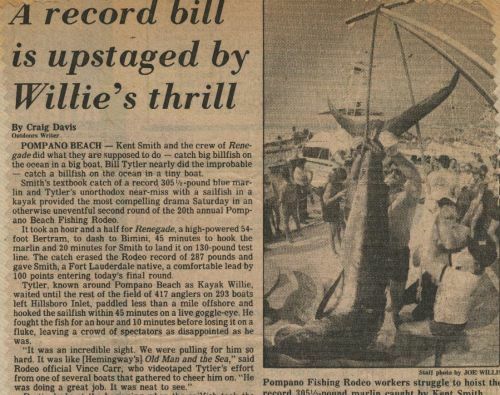 Kayak Bill has fished in Pompano Beach his whole life. 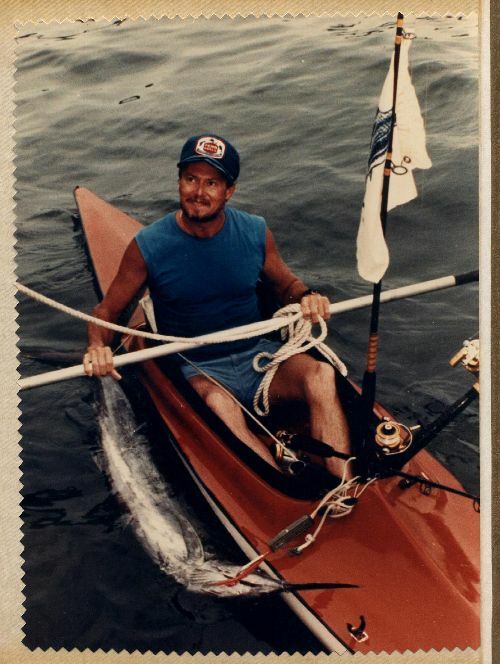 He has fished in his kayak since the early 1980's. Catching wahoo, sailfish and all other fish. 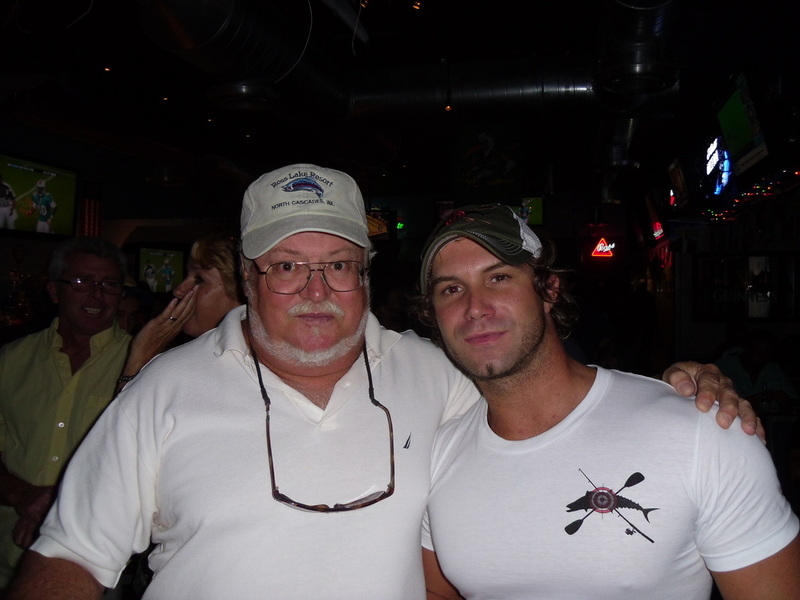 Bill is a true sportsman and a classic Florida character, He is a skilled craftsman in both wood and fiberglass and has designed and built a number of craft, not to mention his own fishing rods, paddles, gear, airboat, helicopter, swamp buggy and more. An independent thinker, tinkerer and inventor. "Well I used to - when I got my kayak - I was surfing it a lot and I was rowing it offshore one day when I noticed a bunch of boats around me with sailfish on and they were jumping around me frequently, and I said well why don't I bring out some bait out here sometime and see if I can hook one" said Bill.Then he goes on to say, "I've caught wahoo, tuna, dolphin. Caught a 17 lb wahoo, that's actually small, that was in a boat tournament. The tournament before I'd caught a king but it didn't come up to 15 lb. at the weigh-in. Most of the time I was sailfishing. 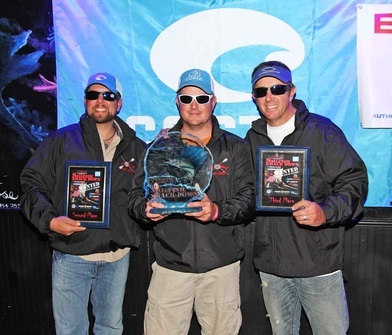 At the time I'm sorry to say but the tournaments were kill tournaments and it was so easy to hook sailfish back then so when I came to the scales with a sailfish - especially when you beat a million dollar boat that maybe didn't hook anything that day. Skunked." 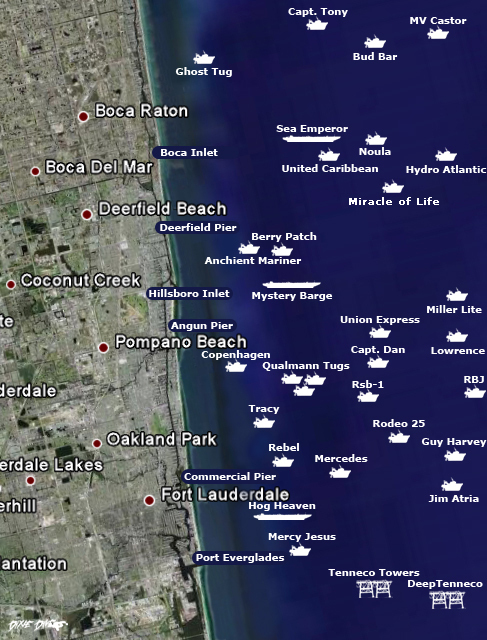 Pompano Beach has many wrecks only half a mile offshore which makes the paddle out short and easy. Check out the new ‪kayak‬ exhibit in the IGFA in Dania Beach (Fishing Hall Of Fame). 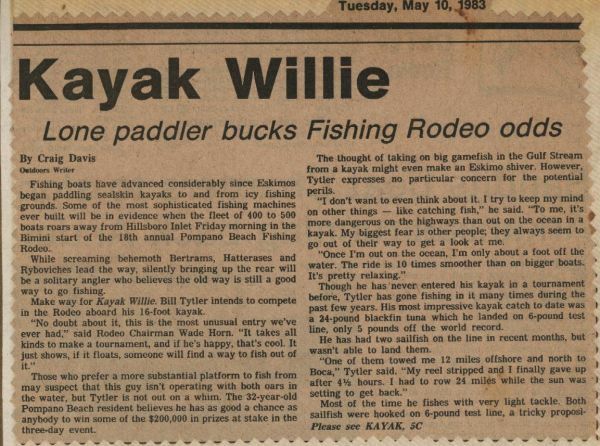 In 1985, after fishing the Pompano Beach Fishing Rodeo for three years, Bill “Kayak Willie” Tytler finally scored, catching a 17 lb wahoo in his 16-foot, one-man, burnt-orange fiberglass kayak. The kayak’s builder is unknown but it was made in Fort Lauderdale in the late 1960s or early 1970s. Joe Hector Founder of Extreme Kayak Fishing Inc.
Joe Hector grew up in a fishing family in New Jersey. 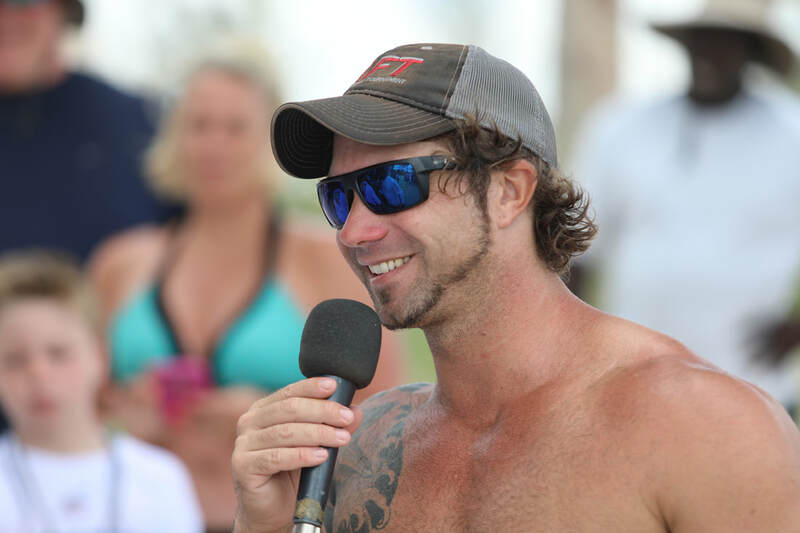 He was taught from a very young age about tournament fishing, He fished in many boat tournaments from NJ to South Florida. He excelled in event planning & sales. ​That same year EKFT had its very first international tournament in the Bahamas. 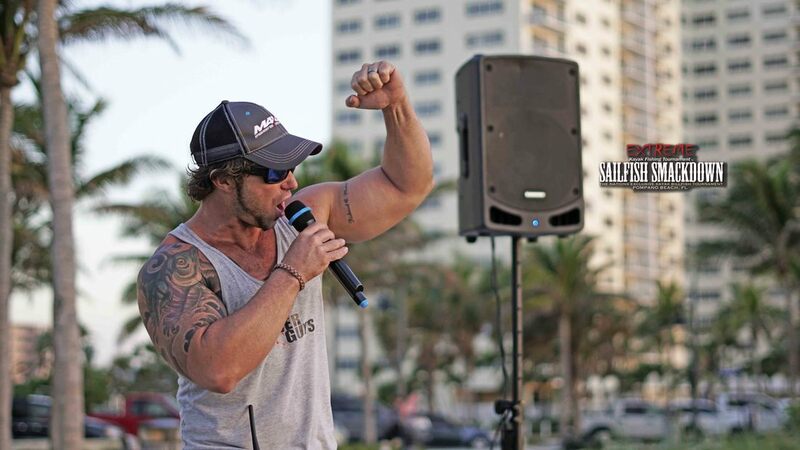 The "Battle in the Bahamas". EKFT hosted a tournament in Corpus Christi, Texas in 2016. Boaters who run offshore in search of dolphin have been complaining about the scarcity of big fish, but maybe they're running too far or making too much noise. Joe Hector caught a 44-pound bull dolphin last week fishing in 180-200 feet off Pompano Beach. From his kayak. Without a gaff. 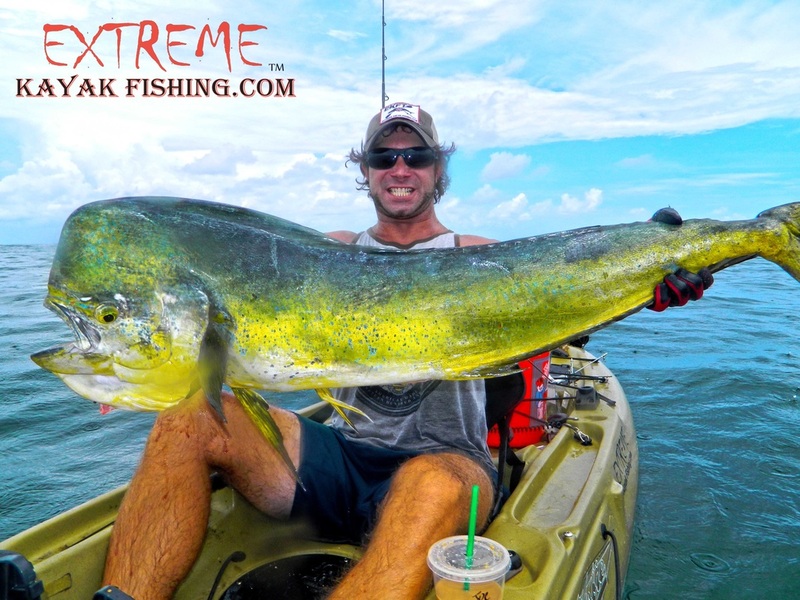 Catching big fish is nothing new for Hector, who runs the Extreme Kayak Fishing tournament series, but this was his biggest dolphin by far and it was one of the most challenging fish he ever tried to land. It also was totally unexpected. Hector had gone out for an afternoon trip with Fred York. The kayakers' plan was to jig for blackfin tuna, but they also brought along a box of dead sardines. 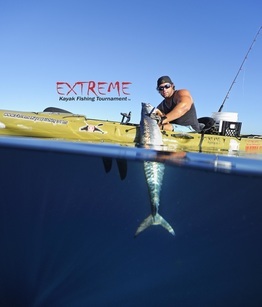 After 30 minutes, the fish was alongside Hector's Hobie kayak, but he'd forgotten to bring his gaff. York tried to grab the dolphin's tail, then Hector tried to grab it and the fish "went crazy," darting under Hector's kayak and tangling the 40-pound braided line around the kayak's Mirage Drive pedal propulsion drive. 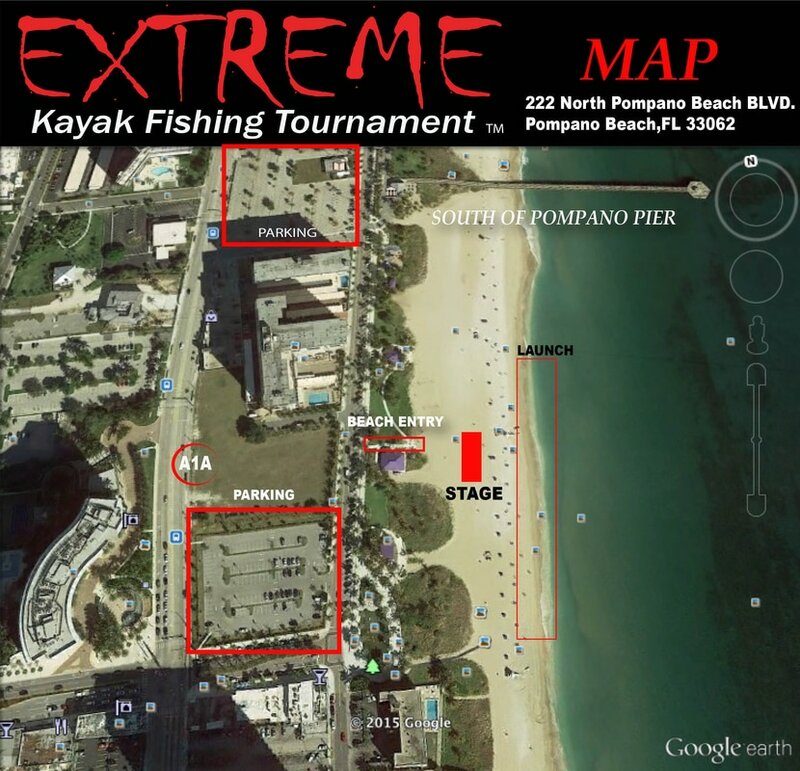 Kayak Willie with Extreme Organizer Joe Hector at the first Extreme Tournament. Pompano is very close to an ocean inlet, which gives quick access to the reef and wrecks laying just a mile off shore. The Gulf Stream comes closest to Florida's shoreline here. It causes an average current of about one knot running parallel to the reef line. This gentle current allows the angler to slowly drift along the reef line without expending much energy. 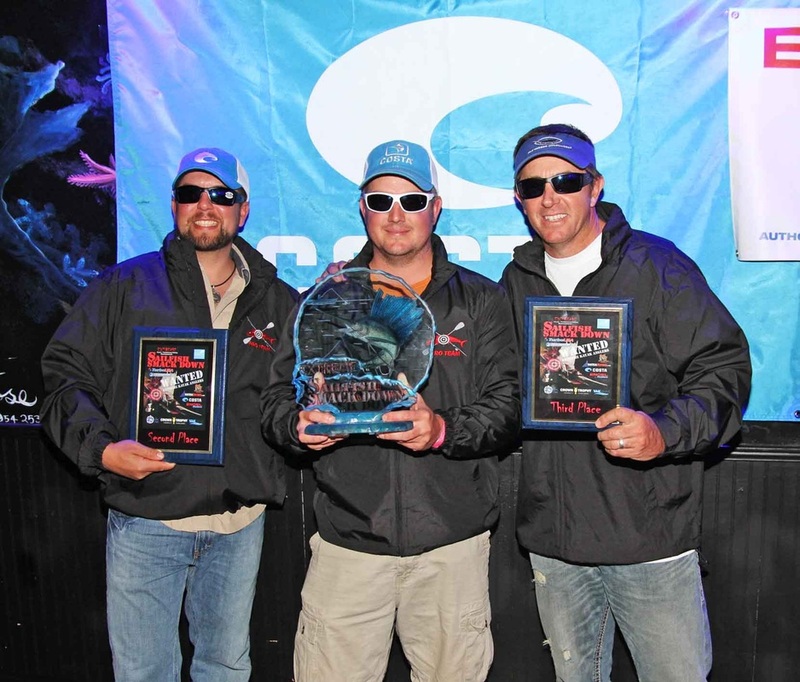 South Florida has the closest big-game fishing anywhere in the United States. The Gulf Stream is right offshore. Our sailfish and dolphin are caught in sight of the beach. Dropping large live baits down to our plentiful wrecks and artificial reefs provides some huge bites! We get several types of grouper throughout the year as well as golden amberjacks, large snapper, and suprises like wahoo, cobia, and many more. Going offshore in South Florida can be incredible. Just a couple miles off our coast lies the gulf stream. Just outside the reef in fact. If mahi-mahi (dolphin) & kingfish are what you are interested in this is the place for you. Out in the blue gulf stream water we also get tuna, and an occasional marlin too.